Are you responsible for brushing your child’s teeth? 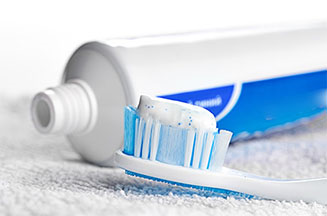 Based on a systematic review of the evidence, the CSA concluded that using just a "smear" of toothpaste (about the size of a grain of rice) for children younger than 3 years old, and a pea-size amount for children 3 to 6 years, helps prevent cavities. It’s also less likely to cause fluorosis.